Aerial, Top View From Drone: Flying Over The Mountain With Forest And River. 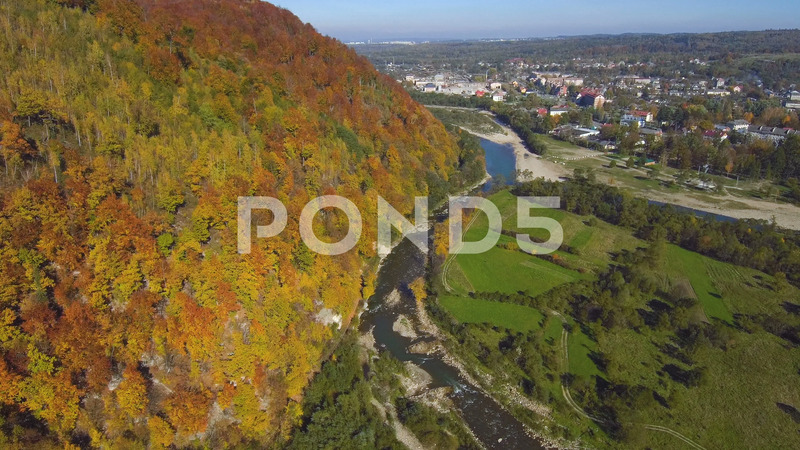 Description: Aerial, top view from Drone: flying over the mountain with forest and river. Forest yellow autumn color. River at the foot of the mountain.